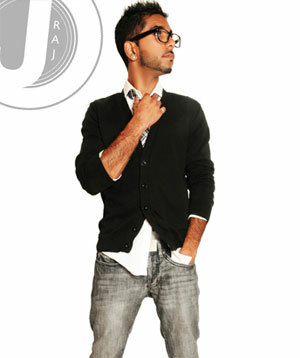 A live musician at the core with a modern production sensibility, J Raj is a Canadian born and bred trailblazer. Having made his mark on the Canadian music industry, J Raj is fast being recognised as the ‘go to guy’ for innovative dance led production. Having performed with and remixed for international award winning duo JoSH, he is again joining forces with them on a joint single project for his forthcoming release ‘Ole Ole’. The new single is a remake of the global hit that featured Saif Ali Khan from the 1994 Yash Raj release, ‘Ye Dillagi’. It is a song that is an institution for South Asian generations growing up in the 90’s and J Raj’s version has fast tracked the record for a real 21st century club vibe. Rup and Q have lent their immaculate vocals to the track and added their own intrinsically JoSH flavour to the melody adapting the top line for a more soulful feel. Melded with J Raj’s up tempo electro beats and signature percussion driven production style, it’s hard not to want to hit the repeat button on this track. The track is scattered with euphoric dips and crescendos making ‘Ole Ole’ perfectly aligned for dancefloors and DJ’s nationwide to drop into house heavy, commercial electro sets. J Raj’s breakdown section reveals his love for early 80’s computer games with a ‘Super Mario’ influenced segment complete with huge drops. The high energy dance video brings to life the 80’s dance scene and even showcases all three artists in a never before seen style. Check out the video right here.